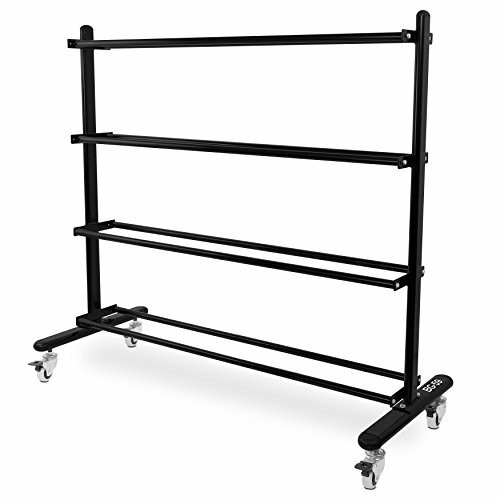 Saving space by using efficient storage is vital to any home or studio. 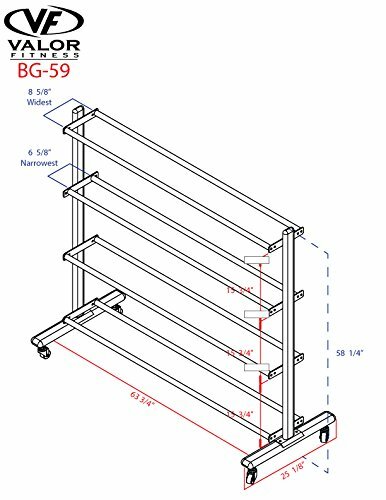 The Valor Pro BG-59 exercise ball Rolling rack is the perfect storage system that saves space and is mobile. 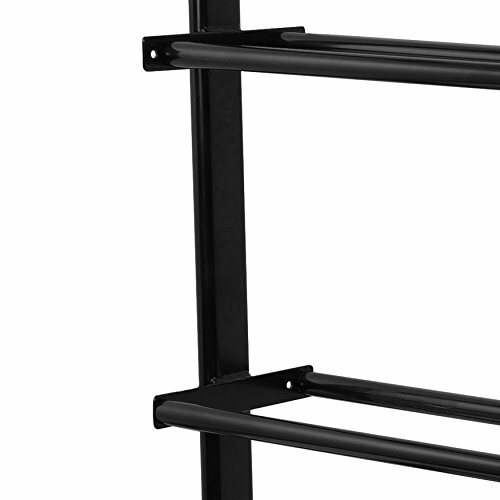 Constructed of heavy duty steel for strength and durability, this storage rack will hold up to the most demanding fitness environment. 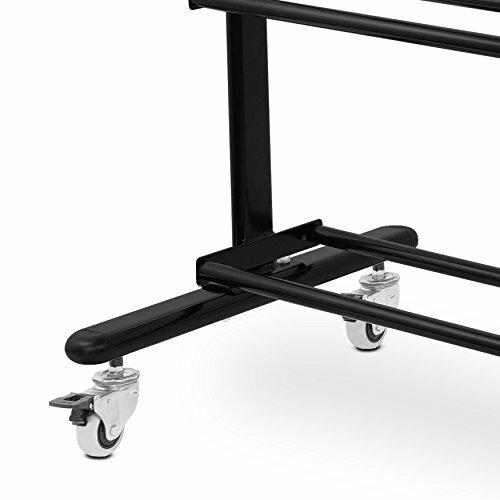 The heavy Caster wheels roll smoothly and lock for safety. 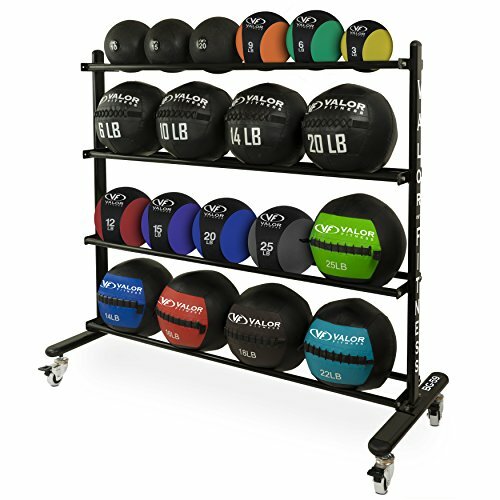 Shelving width is adjustable, allowing for Slam ball, Medicine ball, and wall ball storage. Each shelf is spaced 15 inch apart vertically.